22 meters above the ground, the bridge connected by the spectacular supertrees towering vertical gardens extending into the sky are the man-made wonders that allow humans to walk and enjoy the panoramic views of the Singapore skyline! 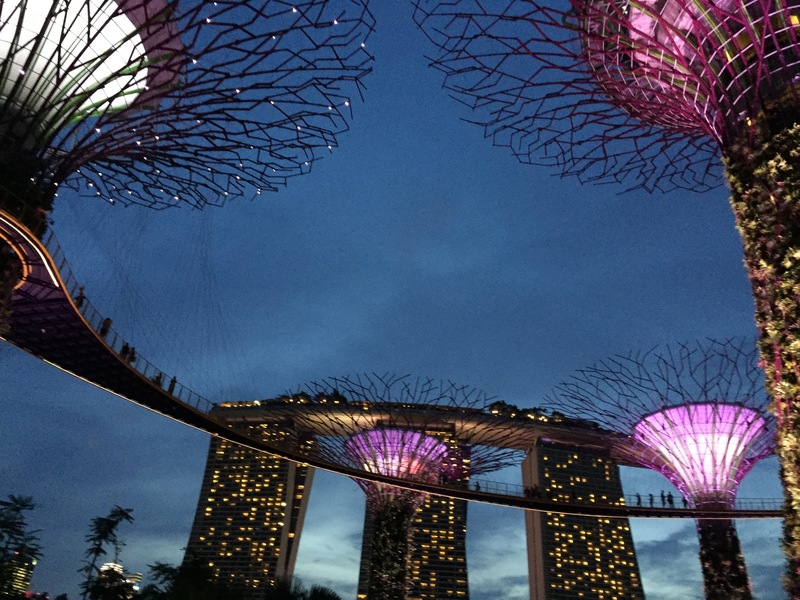 I had been to Singapore more than a couple of times yet I could not have the chance to see the Gardens by the Bay in Singapore. It is a beautiful complex showcasing the best of horticulture, sustainability, and an idea relating to the out-of-the-box architectural design. This beautiful complex hosts myriad edutainment opportunities for the young and the old. The tourist site is replete with diverse plant life and award-winning cooled conservatories. 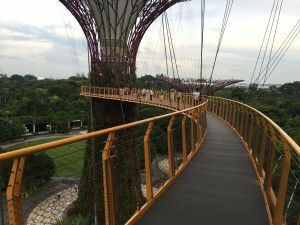 One can reach the complex by taking Bayfront MRT (monorail transport) or via an uber from one’s hotel. One can also book a guided tour or an audio tour if they want. 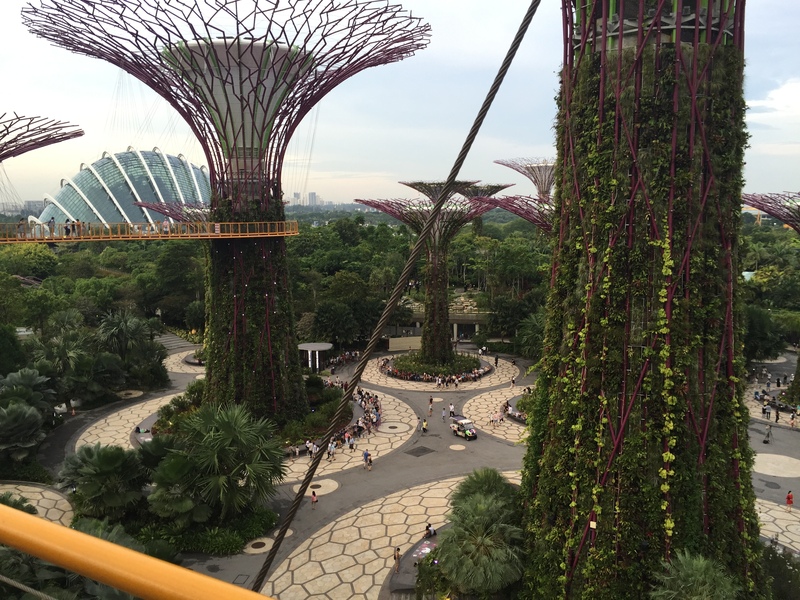 With so many edutainment offerings from the garden, and due to the scarcity of time we had left for Singapore, all we could enjoy was the OCBC Skyway and the Garden Rhapsody of the park and that, too, was not a matter of a couple of hours! We had to set aside the entire evening for that and I have no regret as it was totally worth it! I believe everyone should make it a point to watch this spectacular evening show if they can set aside some time for themselves in Singapore. Here’s the picture that I took from the ground of the light show in the evening.